In Dead Rising, you play as journalist and protagonist Frank West. Your task is to scrutinize the mysterious outbreak on the eve of Black Friday. 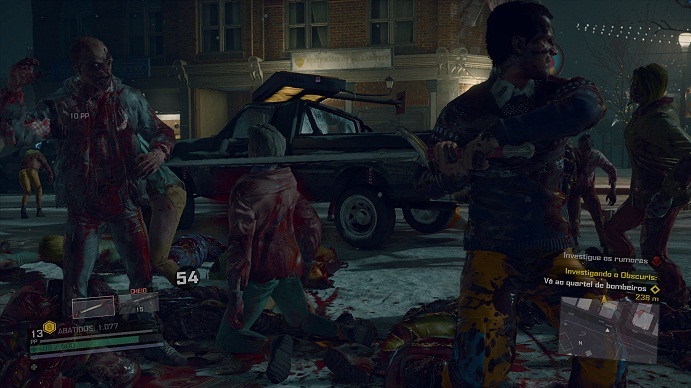 In this guide, we will show you some best strategies for leveling up fast in Dead Rising 4. Just like the first installment, Dead Rising 4 takes place in the fictional city of Willamette. Like the previous games in the series, the streets are filled with zombies - who has replaced psychopaths - so walking from point A to point B is not the safest strategy. The best thing to do is to explore the map using the vehicles, a kart or war tank, since they facilitate the locomotion and allow to destroy a greater number of creatures at one time. In the game, you can also customize the vehicles. This means that Frank West can turn a normal road vehicle into a real war machine. The more zombies get hit, the greater the number of PP accumulated, so focus on upgrading the motorized peripherals early in the game. The weapon building system was significantly expanded compared to the previous game. Now it is possible to make unusual combinations of objects, such as a Santa ornament made of insane flamethrowers, as well as elemental swords in the best RPG style. Now, there are many scrap materials that can be used as weaponry but better reserve them only for critical situations. It is important to chase after rare weapons projects, which are flagged on the map and occasionally awarded as mission awards. The best tactic is to always walk with the best equipment stored in the inventory. Like all other open-world games, Dead Rising 4 offers dozens of extra activities to complement the story. The side-missions are present to speed up the progress of the character. Even some objectives give more PP than the main tasks. When you complete a campaign-related mission, don’t proceed to the next step. Invest your time to discover new map points, fulfill favors to survivors, and clear safe base taken by zombies. The rewards are generous and will make Frank West level up without difficulty. Although Exo Suit cannot be used frequently, since the battery has a use limit, it is an excellent option to exterminate hordes of zombies and maniacs with just one blow. Try to enjoy the equipment until the last minute, because Frank is practically invincible when he wears the suit. Apply powerful combos and finishing - combining the X and Y buttons on the joystick - to knock down dozens of enemies. 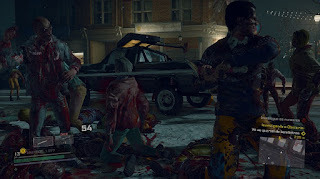 Replay is a feature of the established Dead Rising formula since the first game. That means killing zombies without stopping is still a great strategy to get the character to peak. And it's not just the zombies who give away valuable PPs in the course of the adventure. Zombies and members of Obscuris, for example, being more agile and challenging enemies, provide considerable bonuses of experience. Frank West's camera is back with new features such as a new night mode and an option to scan relevant objects in the environment. The machine can also be used to capture captivated portraits of zombies. Try to take creative photos in intense moments of combat to accumulate enough PP for each recorded image.